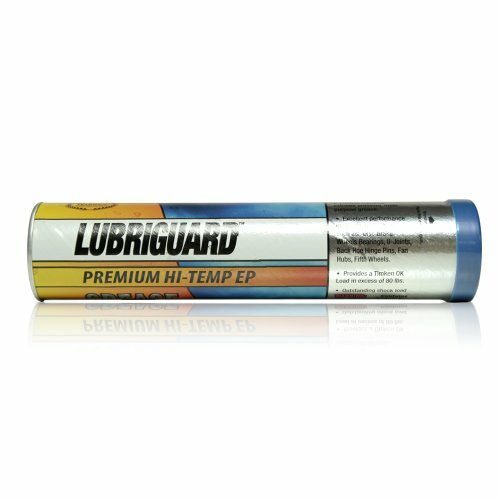 Lubriguard Hi-Temp EP Grease is recommended for heavy duty automotive service. Lubriguard Hi-Temp EP Grease is GC-LB approved wheel bearing and chassis grease for lubrication of busses, trucks, and off-road vehicles operating under high temperatures and extreme conditions. Lubriguard Hi-Temp EP Grease is recommended for heavy duty automotive service. GC-LB approved wheel bearing and chassis grease for lubrication of busses, trucks, and off-road vehicles operating under high temperatures and extreme conditions.